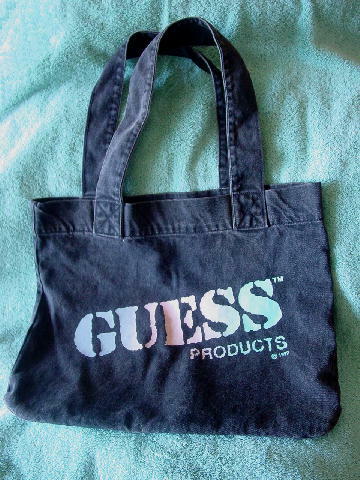 This early 1990s large black denim (cotton) tote is by Guess. It has two 25 1/4" by 2" straps. 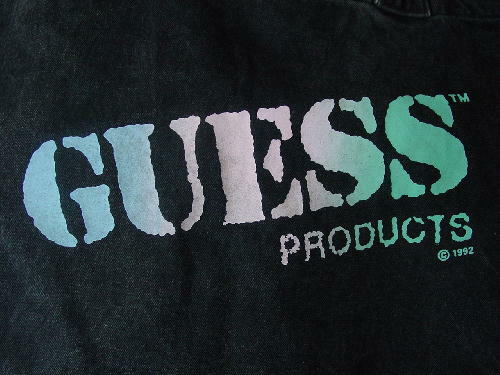 Guess TM Products © 1992 are in blue-gray, peach, and seafoam green. It's from a Los Angeles model, who used to carry her portfolio it it.